A magazine-sized overview of U.S. liaison planes of the 1940s and 1950s. I blew hot and cold about this book, which packs a whole lot of interesting photos into its 85 large-format pages. Terry Love provides us with a couple of introductory chapters, followed by a chapter on each of the L-Birds from the L-1 Stinson Vigilant, through the three Grasshoppers--L-2 Taylorcraft, L-3 Aeronca, and L-4 Piper Cub--and so on through the larger and more sophiscated liaison aircraft, up to but not really including the L-19 Cessna Bird Dog. Where the book falls short is in the text. Probably this won't bother you as much as it bothered me, but I make my living with the computer keyboard (and a typewriter before that). It pains me to see broken sentences, unneeded exclamation marks, typographical errors, and even the occasional research error. Mr. Love for example says that the Navy's LBT-1 glider version of the Taylorcraft was used in atomic-bomb delivery tests in 1944. I don't think so: the two nuclear weapons of the 1940s, Little Boy and Fat Man, each weighed 10,000 pounds. That would have been a glide to remember! Much more rewarding are Mr. Love's chapters on the LST (Landing Ship Tank) aircraft carriers that launched Piper Cubs in the Mediterranean, and the fabulous Brodie Device--also on an LST--that not only launched L-4s and L-5s from a wire strung alongside, but could take them back on board again. But even here I scratch my head a bit. In Low and Slow, there's a chapter on the Brodie Device written by John Kriegsman of the 77th Infantry Division air section. 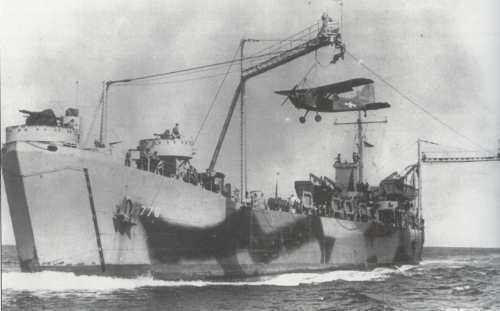 Then-Major Kriegsman actually "landed" his L-4 on the wire of LST 776. He says the Cub and the pilot, with the engine already running, were hoisted up, hooked to a trolley, and then transferred to the main cable (which he says was 300 feet long). Now, Mr. Love says that the pilot went down the wire to his plane, stood with his foot jammed between the wheel and the landing-gear strut, and propped the plane himself. Interestingly enough, both books contain the same photo, of an L-4 in the Pacific. Its prop is still. In Low and Slow, the caption explains that it's being lowered to the deck after a mission. In L-Birds we're told that it's being prepared for a mission. Who's right? I'd like to know, but on the evidence of the Taylorcraft "GLOMB", I'm inclined to go with the man who flew off the wire in 1945.